Fr. Thomas Rizkallah was born in Egypt on October 30,1939. He earned a Ph.D. in Physics from Assiut University in Egypt and worked as an Assistant Professor at the same university for 5 years. He also worked in Paris, France from 1969-1976. Upon returning to Egypt, he served in Assiut from 1976-1992. 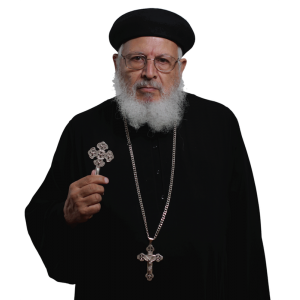 He came to California in 1992 and was ordained presbyter by His Grace Bishop Serapion on June 10, 2001.